Rt Hon Sajid Javid writes: “To over 3.5 million EU citizens who have made the UK their home: you are our friends, our neighbours and our colleagues, and our country is all the better for it. Javid continues: “The EU Settlement Scheme is now officially open. This means that the rights you and your family currently have, including access to employment, healthcare, benefits and pensions, are protected – so you can continue to live your lives as you do now. After a successful launch on Saturday, more than 50,000 applications were made over the weekend. This brings the total number of applications to over 280,000. “Applying to the EU Settlement Scheme is completely free, and the Home Office’s aim is to make it as simple and straightforward as possible. 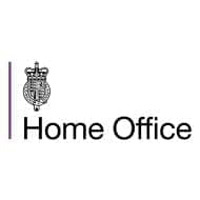 All you need to do is complete a three-step application with a laptop, tablet or mobile device to prove your identity, confirm you live in the UK and declare any criminal convictions. The Home Secretary concludes: “I’m determined that no-one is left behind. That is why up to £9m has been made available for supporting more vulnerable people, whether they are homeless, elderly, disabled or unaware of the Scheme so far, to make an application. For those without access to a computer, or lacking the skills or confidence to use one, there will be assistance available in Assisted Digital locations across the country. “The Scheme has already been thoroughly tested. Nearly four out of five of those who have applied did not need to provide any additional evidence or send in their documents for checking. To find out more visit: GOV.UK.